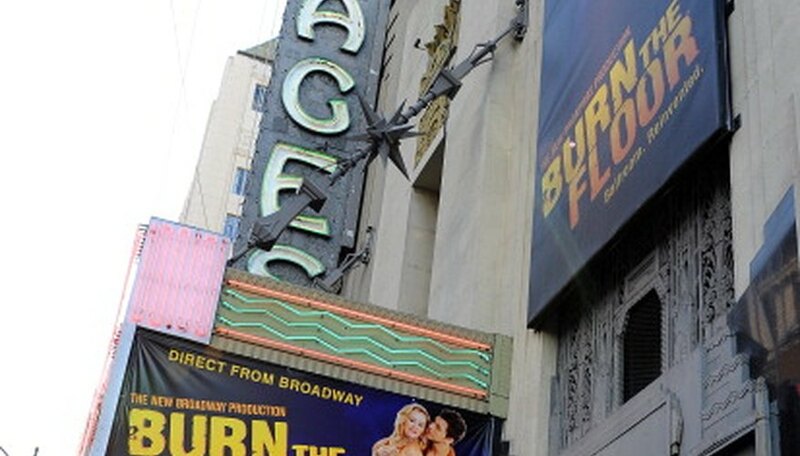 Once the site of the Academy Awards presentation for ten years, Los Angeles’ Pantages Theatre has adorned Hollywood Boulevard, right down from Vine, since 1930. In the early years, the theater showed movies and offered vaudeville shows in between features. Today, legitimate theater thrives at the Pantages, as do comedy acts, movies and live music. With a seating capacity of 2,691, this old Hollywood icon has many sections that offer a prime view of the stage. The next level of preferred seating sections are also on the floor, and they flank the premium seats to the right, left and just behind. They are called Price Level A, Other Center Orchestra, and offer clear, unobstructed views of the stage with clear sound. All season-ticket packages are available only on the main floor at the orchestra level. As desirable as the Price Level A floor seats, the center mezzanine seats in the balcony are located directly behind the center floor seats. In fact, Center Mezzanine A to H, particularly the first two rows, may be even more desirable than some of its like-priced seats on the floor. Given the unobstructed view of the stage, theater-goers may feel as if they are almost front-and-center. Flanking the Price Level A seats on the floor, the Price Level B, Side Orchestra L to ZZ section rounds out the remaining available seats on the floor. The lower pricing is because these sections are farther away from the stage and do not directly face it; they angle toward the stage.